Over the years Rick has appeared on numerous radio stations throughout Britain, as well as receiving airplay in Canada, the USA, and Belgium! Rick's repertoire includes songs by other writers as well as his own material, and although he enjoys the intimacy of folk clubs, he is equally at home playing larger venues. He recorded his first album, a cassette entitled Reason Enough, recorded at Pathway Studios in North London, in 1983. In November 1985, he even played live on a Virgin Airlines 747 to the USA. Rick has been frequently re-booked by clubs, and over the years he has also played support to such artists as Jim Couza, Fred Wedlock, Gregson & Collister, Capercaillie, and Harvey Andrews. He also duetted with Griff Rhys Jones in 1990, at a special charity event, at Wrabness in Essex. Rick co-presented "Essex Folk" for BBC Essex for eight years, until 1994, as well as running Maldon Folk Club, and the Maldon Folk Festival. In 1990 he recorded his second album, an LP called Looking For Signs. This time he recorded at a studio in Chelmsford, Essex. Rick was one of the contributors to the "Guinness Encyclopaedia of Popular Music", published in 1992, and the subsequent "Guinness Who's Who of Folk Music". 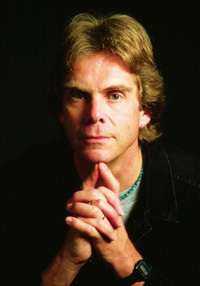 From 1993 until 1996, Rick toured Denmark regularly, and in 1994, was a founder member, with singer/guitarist Peter Dunhill, of the harmony group The Open Road. In 1996, he recorded not one but two albums. A solo effort called These Things Happen, and an Open Road group recording, with group members Peter Dunhill & Anita Toth, called The Open Road. Both were again recorded at Steve Morris Studios in Chelmsford, Essex. Rick then continued to work in a solo capacity, as well as with The Open Road, until the break-up of the group, when for a time he continued working with former group member Julia Pascoe. Rick and Julia's last performance together was in November 2000. Rick has continued to work solo, as well as briefly with friend and fellow musician Julian May, with whom he made one recording, released in 2003, a CD entitled Loose Association. Rick's most recent recording, It's About Time, the title coming from a suggestion by Keith Hannah, was released, to much acclaim, in 2014. In 1999, Rick played a series of dates in Phoenix, Arizona, and, since then, has returned regularly due to popular demand.